Actress Neetu Chandra does an item number for Settai! Christian groups want a ban on Kadal ! Kamal Haasan's Vishwaroop has managed a decent first weekend total in the Hindi markets by netting 7.75 crores. The opening day netted 1.89 crores, as earlier reported. Each subsequent day showed good growth when compared to the previous day and this total is the highest for the Hindi version of a South Indian film. 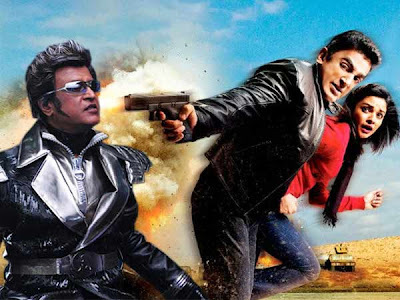 Previously Rajini's Robot managed a first weekend net of 7.25 – 7.5 crores. Ahead of the release of the original Vishwaroopam in Tamil Nadu in the coming days, this news must come as sweet music to Kamal Haasan and his supporters. After sizzling in Kanni Theevu Ponna… in Mysskin's Yuddham Sei, Neetu Chandra is all set to woo the audience with her moves in Laila Laila… in Settai. Yes, the actress will be seen performing a special number in the film, along with Arya, Santhanam and Premgi. Confirming the news, director Kannan says, "We will be shooting for the song for three days from February 9 in the city. It's a very peppy number and Na Muthukumar has written the lyrics for it. Videsh is now working towards erecting a lavish set of a Mumbai bar, replete with flashybulbs. Kalyan master will be choreographing the song. We wanted someone who could look sensuous, and roped in Neetu Chandra for the song." Neetu is quite gung-ho about the number as well. "I love dancing, and as soon as I heard the tunes, I was sold on performing for this number," she says. Settai is the Tamil remake of Delhi Belly. Now a ban on Mani Ratnam's Kadal? 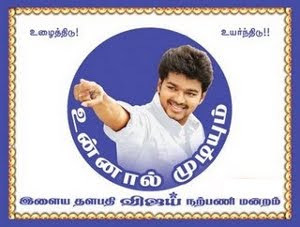 A Christian fringe group led by a priest has approached the Chennai city police commissioner demanding a ban on the film for it being "anti-Christian"! The group Christhuva Jananayaga Katchi (CJK) found certain scenes in the film to be objectionable and depicts christians in bad light! The organisaton members have metChennai city police Commissioner and requested him to ban Kadal from screening. The CJK are also demanding that seven scenes, the same number of scenes objected by Muslim communities in Vishwaroopam, be deleted from the film! Tamil superstar Kamal Haasan's film Vishwaroopam will release in theatres in Tamil Nadu on Thursday, after the state government first banned the film and then brokered a compromise with leaders of groups who were offended by the portrayal of Muslims in the Rs. 95-crore film. Ahead of the film's debut in his home state, Kamal Haasan agreed to edit out the audio for seven scenes and withdraw a petition in the Madras High Court challenging the government's ban. In a statement today, the actor, who has also produced and directed 'Vishwaroopam', thanked his fans for their immovable support. "What brought me to an emotional pulp was the sight of many money orders, currency notes and bank cheques sent to me in envelopes," he said, referring to the donations made after he disclosed last week that the ban on his movie had placed him in borderline bankruptcy. He asked his admirers not to be offended by his decision to return their money. "In case politics and religion hound me again to take refuge," he said, he will call on them. Since January 22, when the government banned his film two days before its scheduled release in 524 theatres, Kamal Haasan has defended his movie as "Muslim-friendly" and said that he has been used as "a political instrument." A judge of the Madras High Court who said that the ban should be lifted was over-ruled by two others the next day.